Frilly blooms of soft creamy yellow, each one detailed with deep purple lines, appear in profusion above deeply veined leaves and provide year-round color indoors. No green thumb is required to get outstanding results. Shipped in a 8¼" wide x 6" tall embossed clay pot with saucer. An African Violet relative, Cape Primrose (Streptocarpus) grows in the mountainous, wooded ravines of South Africa, shaded from the heat and intensity of the sun. 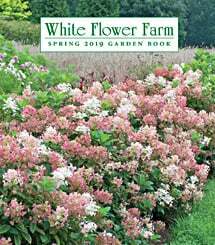 Water when the soil feels slightly dry and fertilize twice a month for a long display of open-faced blooms and dark green, strap-shaped leaves. For more information on growing Streptocarpus, click on Growing Guide. LIGHT: The Cape Primrose is a relative of African Violets and prefers the same growing conditions of bright but indirect light. Avoid hot sun, which can burn the leaves and fade the flowers. TEMPERATURE: Day and night temperatures of 60-75 degrees F are fine year round. WATERING: Water only when the top inch of the potting mix is dry to the touch. Providing water too frequently will cause the roots, leaves, and base of the plant to rot. If the leaves look wilted even when the soil is moist, you may be overwatering. Let the top inch of the potting mix dry out before watering again. Plants require less water during the winter months (November through February). FERTILIZER: From spring through fall, apply a water-soluble fertilizer that is high in phosphorus (such as 15-30-15) every 3 weeks. Withhold fertilizer during the winter months, when your plant will stop growing actively and rest. CONTINUING CARE: Use scissors to cut off the stalks of faded flowers. The tips of older leaves become dry as they age, and these too may be trimmed off. Repot your plant into a slightly larger pot in spring.